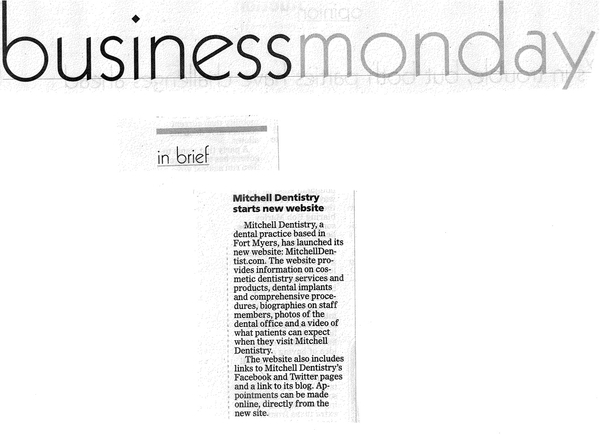 FORT MYERS, Fla. (Dec. 18, 2012) – Mitchell Dentistry, a comprehensive dental practice based in Fort Myers, has acquired new technology that produces custom fitted mouth guards for any sport. Based on reports from the American Dental Association, athletic mouth guards help to prevent broken and chipped teeth, nerve damage and potential tooth loss during some activities. The organization states that an athlete is 60 times more likely to suffer injury to their teeth or mouth when not wearing an athletic mouth guard. In some cases, according to the ADA, a mouth guard may even prevent the rate and severity of concussions. Mitchell Dentistry can create the custom-fitted mouth guards in a short turnaround time and can personalize them with team colors or with the team’s logo. 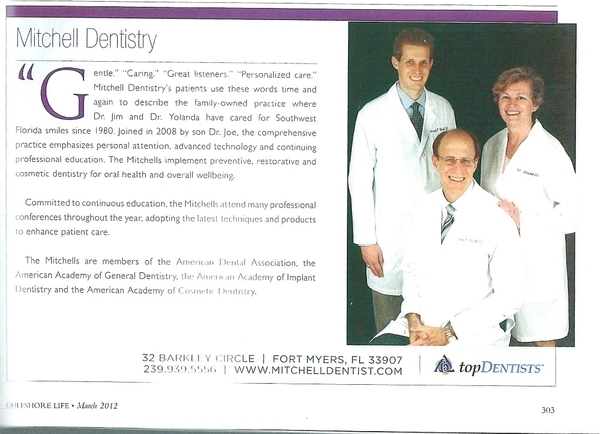 FORT MYERS, Fla. (Nov. 14, 2012) – Mitchell Dentistry, a comprehensive dental practice based in Fort Myers, has launched their new website www.MitchellDentist.com. 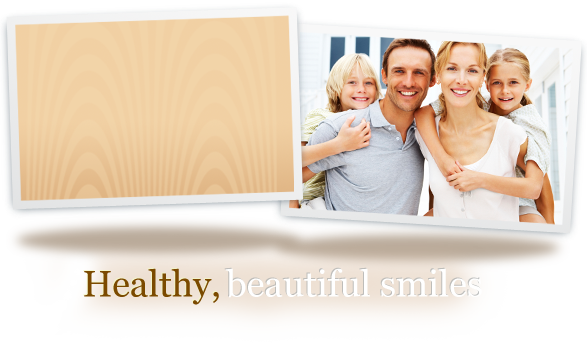 The website provides information on cosmetic dentistry services and products, dental implants and comprehensive procedures, biographies on James Mitchell, DDS, Yolanda Mitchell, DDS and Joseph Mitchell, DDS, photos of the dental office and a video of what patients can expect when they visit Mitchell Dentistry. 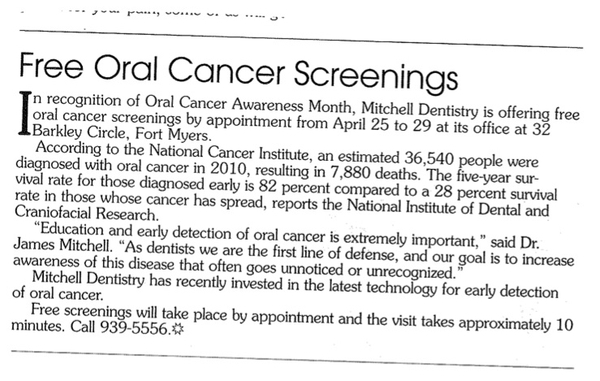 The website also includes links to Mitchell Dentistry’s Facebook and Twitter pages and a link to their blog. Appointments can be made online, directly from the new site. FORT MYERS, Fla. (June 18, 2012) – James Mitchell, DDS and Yolanda Mitchell, DDS of Mitchell Dentistry, attended the three-day annual Florida National Dental Convention (FNDC) from June 14-16. The theme of this year’s conference was “Step Up to the Future of Dentistry” and the Mitchells did just that. More than 400 exhibitors showcased the latest products and scientific breakthroughs in the dental community. The Mitchells also participated in many of the 115 educational courses that were offered. 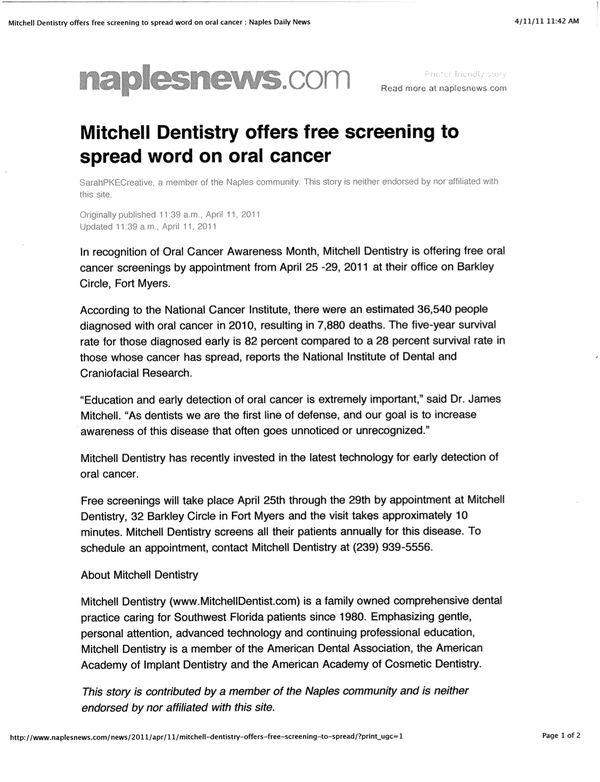 In addition to exploring advances in dental technology and viewing the latest products and services, the Mitchells also garnered information from the featured speakers. The national dental convention was one of several that the Mitchells are attending over the summer months to stay on the forefront of dental innovations and technology. FORT MYERS, Fla. (June 11, 2012) – After attending the American Academy of Cosmetic Dentistry’s (AACD) 28th annual scientific session in Washington D.C., dentists James Mitchell, DDS, Yolanda Mitchell, DDS and Joseph Mitchell, DDS of Mitchell Dentistry have incorporated several new techniques into their practice. Joined by approximately 1,700 dental professionals worldwide, the Mitchells were the only dental professionals from Fort Myers, Fla. to attend the conference. 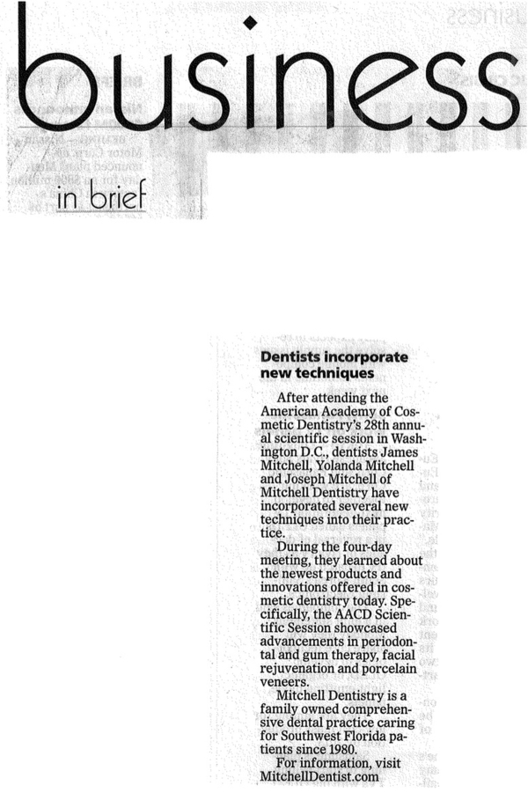 During the four-day meeting, they learned about the newest products and innovations offered in cosmetic dentistry today. Specifically, the AACD Scientific Session showcased advancements in periodontal and gum therapy, facial rejuvenation and porcelain veneers. FORT MYERS, Fla. (December 21, 2011) - Joseph Mitchell, DDS of Mitchell Dentistry visited Colonial Elementary School to talk with kindergarten and first graders about oral hygiene and maintaining overall dental health. Implementing an award-winning dental learning program from the American Dental Association featuring “Dudley the Dinosaur,” Dr. Mitchell spoke about the importance of flossing, brushing teeth, using fluoride toothpaste and visiting a dentist regularly. Dudley the Dinosaur is the American Dental Association’s prehistoric spokesperson. Dudley was created in 1991 and was the first bilingual public service campaign for children. Dudley has appeared in the National Children’s Dental Health Month campaigns, coloring books, patient education booklets, billboards and now in the Lee County school system. Dr. Mitchell will be presenting the program to other area elementary schools in early 2012. FORT MYERS, FL (July 28, 2011) – Numbers from a recent American Academy of Cosmetic Dentistry (AACD) survey show that whitening treatments have increased more than 300% since 1996. With so many individuals brightening their smile, Mitchell Dentistry has a few easy maintenance tips for consumers to consider after whitening. Lemons will lighten and brighten too (just as they naturally “bleach” your hair, they can do the same for your teeth)! Avoid drinking coffee, dark syrup sodas, red wine and eating blueberries. All stain teeth quickly. Drink from a straw whenever possible this allows food dyes to bypass teeth altogether. Baking soda will help remove stains and build up. Brush it on your teeth twice a month, just as you would toothpaste, and rinse. Raw veggies are not only healthy to eat, but they will clean your teeth and remove topical stains. The mechanical action of chewing sugarless gum can also stimulate saliva and clean teeth surfaces, though not recommended for patients with temporomandibular joint syndrome (TMJ).